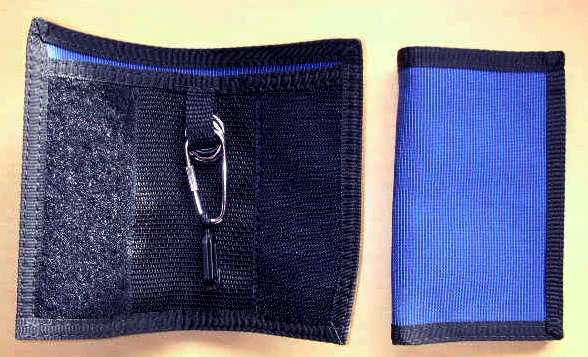 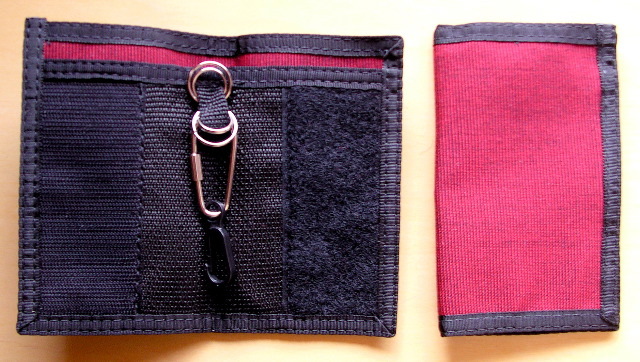 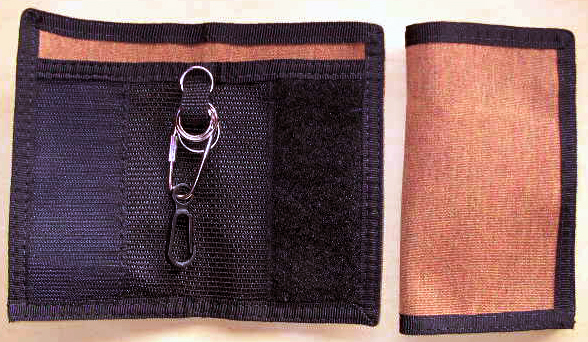 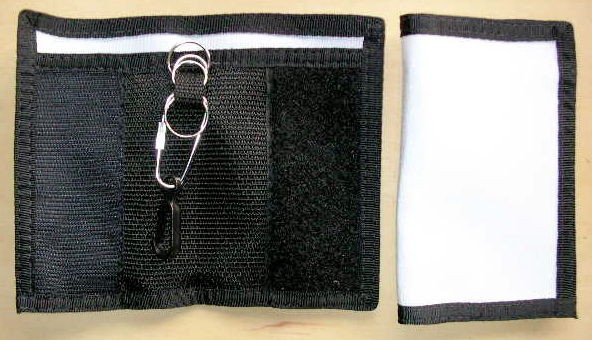 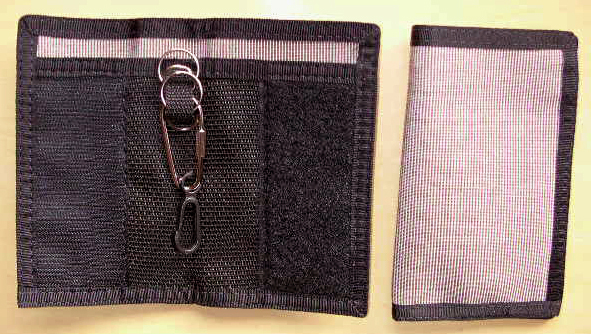 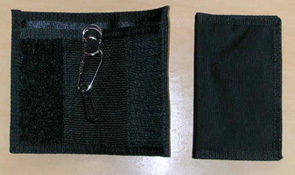 Wallet key kover with nylon key chain. 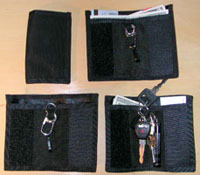 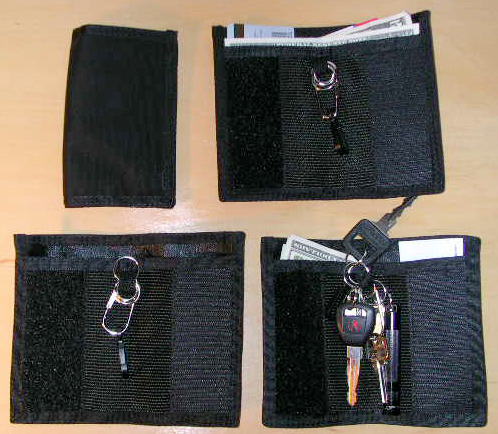 Carries your keys plus two cargo spaces for frequently used items such as ID cards, credit cards, and calling cards. 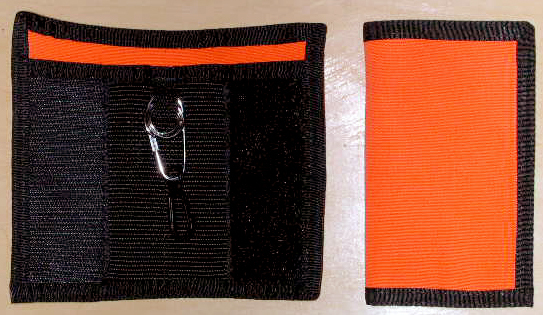 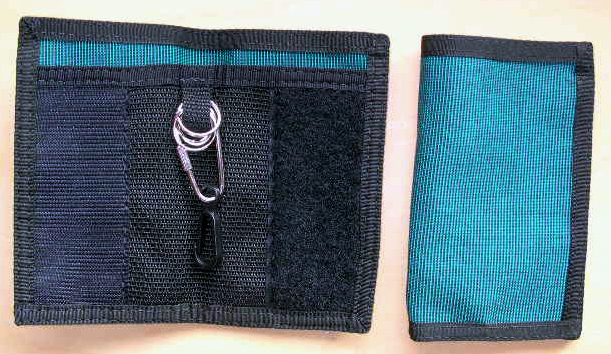 Various colors with black trim.